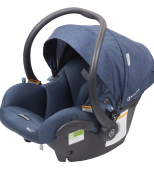 World leading global technology designed with superior safety and comfort in mind, Air Protect™ patented technology has redefined the meaning of side impact protection for our little ones. The safety of your child is our top priority, but so is your child’s comfort. 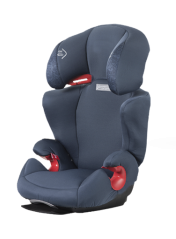 The unique design acts like a soft cushion to absorb side impact crash forces, transferring the energy away from your child’s head. Side impact car accidents are especially dangerous for children and cause a third of all child crash fatalities, nearly all of which are due to head injuries. Car airbags are designed and positioned to protect adult heads, not those of children. Air Protect™ is designed to reduce the severity of side impact crash forces by absorbing the energy and transferring that energy away from your child’s head. Air Protect™ does this by extending ride-down time. This is the amount of time it takes to slow a child’s movement in a crash.  By extending ride-down time, Air Protect™ creates a slower, softer landing. Why is a side impact crash more dangerous for your child? Your child’s head and chest are extremely vulnerable to injury. In a side impact car crash, there is very little space between the car door to the occupant sitting in the vehicle. All vehicles have been designed with front and back crumple zones but on a side impact there is hardly any space for car manufacturers to design in these “crumple zones.” This increases the chances of the impact to be more severe. Discover Car Seats with Air Protect™ now. "I wouldn't put my child in anything else"